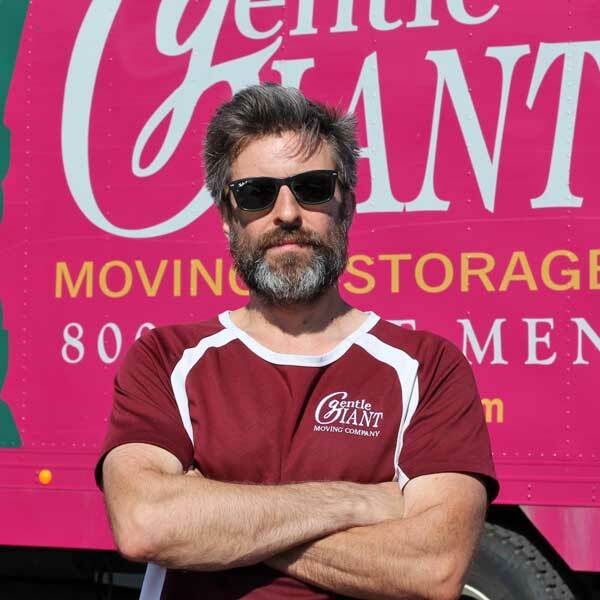 Gentle Giant Moving Company prides itself on being a different kind of moving company. We believe that it is the quality of our people – The Giants – that makes us stand apart from the rest. Gentle Giant’s movers are an exceptionally tight knit team with decades of service between them – showing their true dedication to the company. 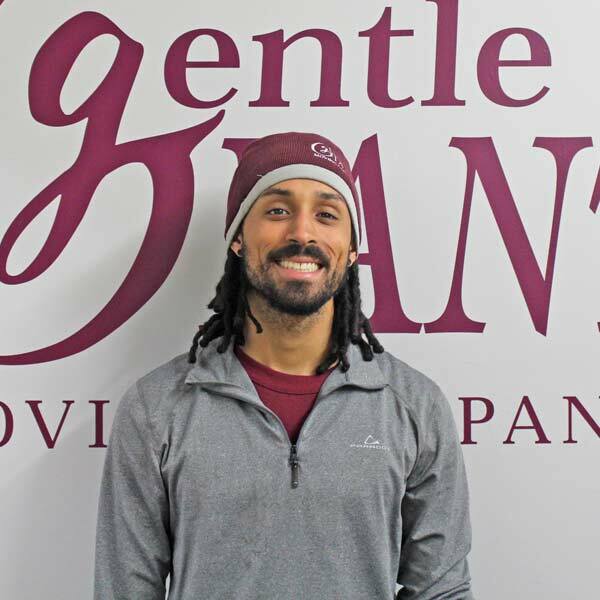 Gentle Giant’s employees are not only skilled furniture movers, but also a highly diverse and unique group of individuals, ranging from all corners of the globe with varied interests in sports, travel, arts, and culture. All Giants embody our core principals of a professional workforce with skill, intellect, and integrity. Mindaugas heard about Gentle Giant fro his brother, Donatas, who worked at Gentle Giant during the summer on a J-1 visa. His favorite part of working at Gentle Giant is the people, both his colleagues and the customers whom he interacts with daily. Once he started at Gentle Giant, he felt he was in the right place and decided to continue a career here because he knew it was the right fit. He believes the Gentle Giant culture - including honesty, enthusiasm, teamwork, respect and going above and beyond - brings out the best in people and are the ingredients that every Giant is made of. Outside of work, he enjoys motorcycles and the process of fixing them. He also enjoys traveling, fishing and being with his friends and family. His parents and his brother, Donatas, live in Lithuania. Mantas says his favorite part of working for Gentle Giant is having flexibility with his schedule and having room to grow and improve his skills. His past experience in the military and with sports helped to prepare him for this role. 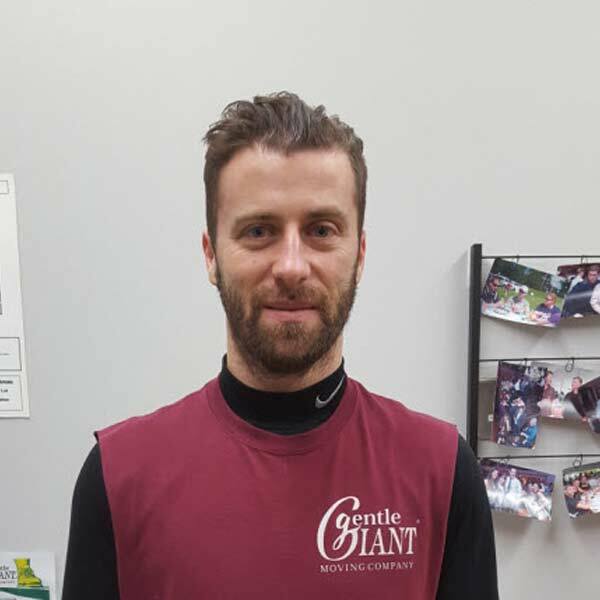 Originally from Lithuania, he decided he would continue to work at Gentle Giant after his second season, as he enjoyed taking on new challenges and responsibilities. 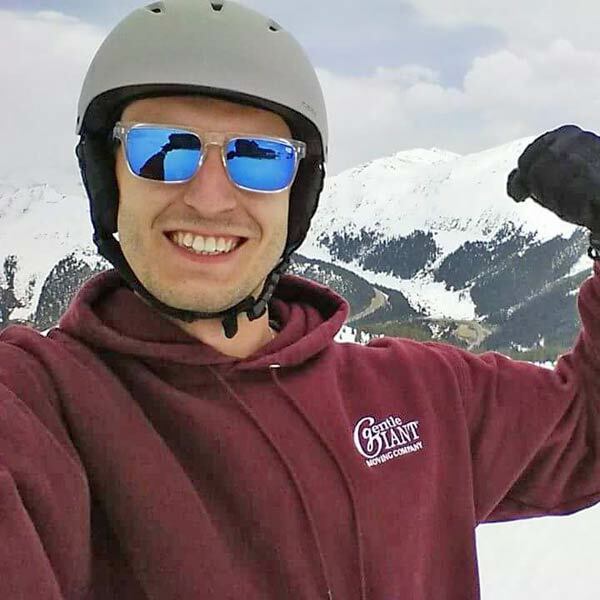 Outside of work, he enjoys snowboarding, traveling and anything related to mechanics. He lives with his wife in Somerville, MA but they return to Lithuania every winter to relax and spend time with family. 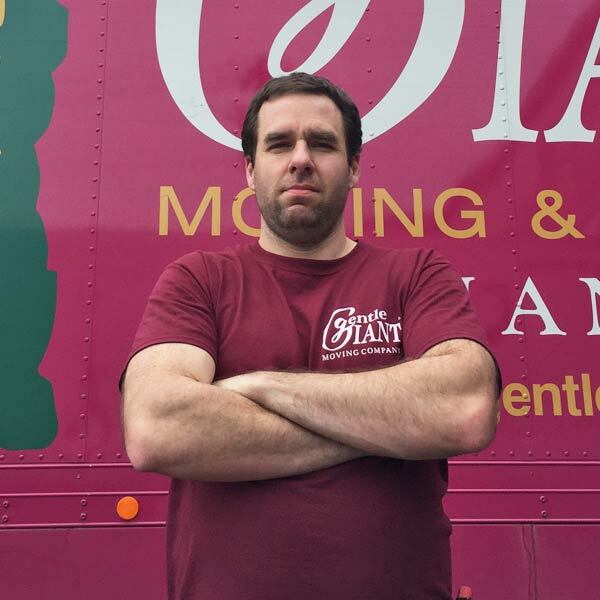 Andrew heard about Gentle Giant after seeing our trucks around NYC, where he was working for another moving company. He said his first year was "awesome" and he decided he wanted to make a career at Gentle Giant from day one. He loves feeling empowered by his colleagues and supervisors, and says working here means he is constantly surrounded by great people. 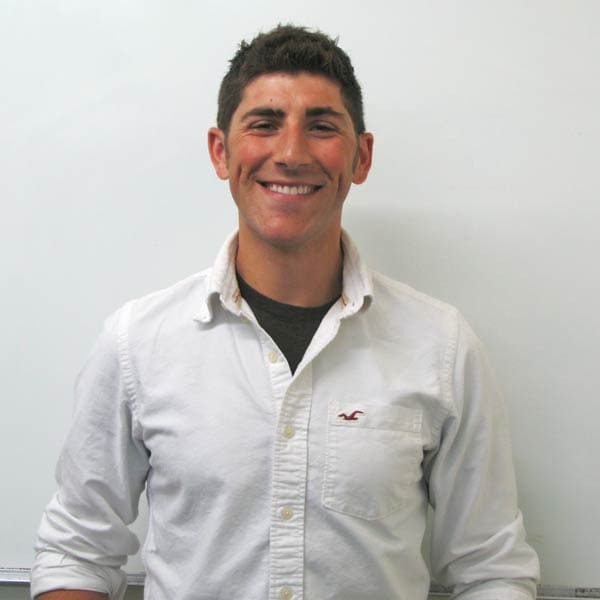 Outside of work, Andrew enjoys playing sports and lives in Bridgewater, MA with his wife and their four children. Tom heard about Gentle Giant through his roommate in college, who was working for us at the time. His favorite part of the job is teamwork, and loves the culture of going the extra mile for your coworkers and customers. 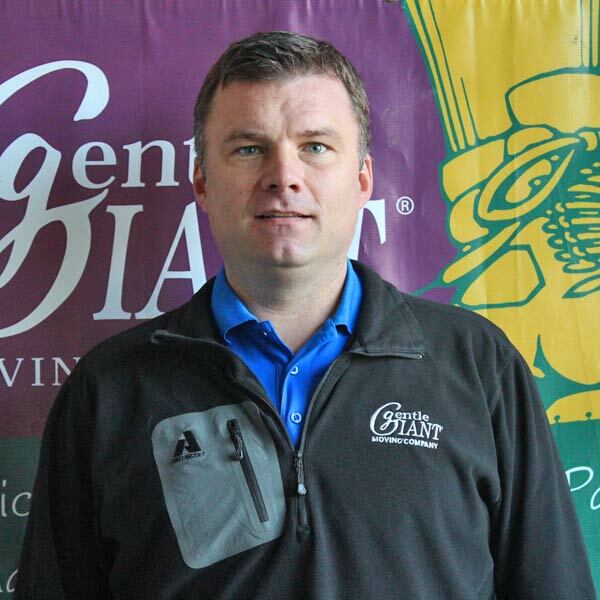 In 1997, Tom decided to make a career at Gentle Giant, and said he has enjoyed all of the training and leadership opportunities he has been granted through hard work and dedication to the company. Outside of Gentle Giant, Tom enjoys keeping up with rugby, going for walks with his dog in the woods and riding his motorcycle. He lives in Millis, MA with his wife and dog. Adrian heard about Gentle Giant from some friends, and loves having a job where he can work outside and stay active. He feels Gentle Giant brings out the best in people by truly taking care of employees. Working at Gentle Giant has helped him learn how to handle high-pressure situations with ease. Outside of work, Adrian enjoys traveling and outdoor activities. 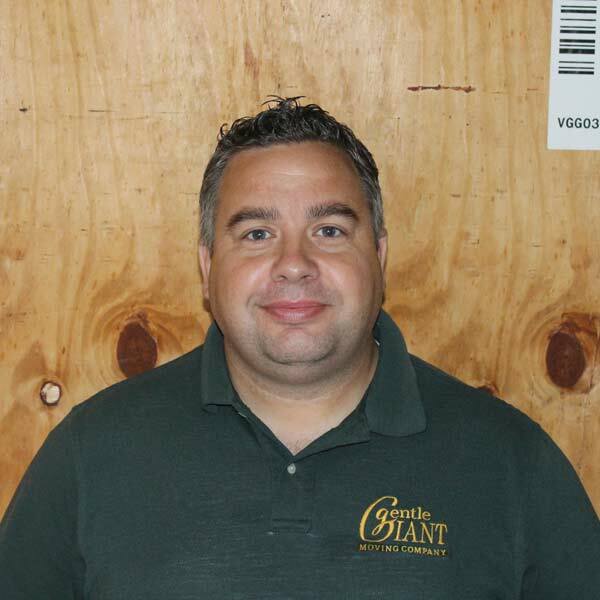 Jeff Klossner is considered to be an “everyman” at Gentle Giant because he excels in all the areas that make a fantastic Giant. He is incredibly kind, patient, strong, experienced and smart. Since joining the company in 2005, Jeff has played many roles, including mover, crew chief and group manager, and has shined in every one. 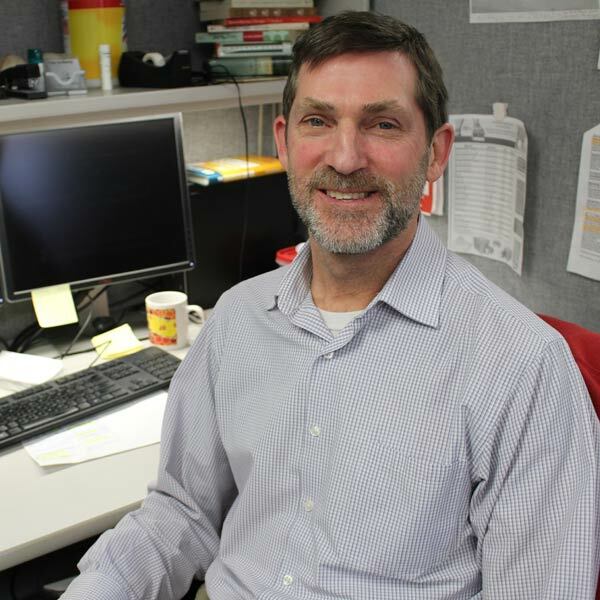 In his current role, Jeff mentors newer Giants to make them assets on every move. Even when faced with extraordinarily difficult pieces, you’d never know because he handles these situations with grace and ease. Outside of work, he enjoys hiking mountain peaks, both local and abroad, with his friends and wife, working on his house and reading a good book. Cristian started with Gentle Giant in 2004 when he was visiting from Romania on the H2B visa. His favorite part of working at GG is the people, as he considers his co-workers as friends. He believes that working at Gentle Giant has taught him to be patient, understanding, open minded and reliable. Outside of work, he enjoys music and playing soccer. Rolando became a Giant in April 2014 and was connected to GG through Parkour Generations, where he was an athlete and teacher. Rolando is a natural athlete and enjoys playing baseball, running track and, of course, lots of parkour. 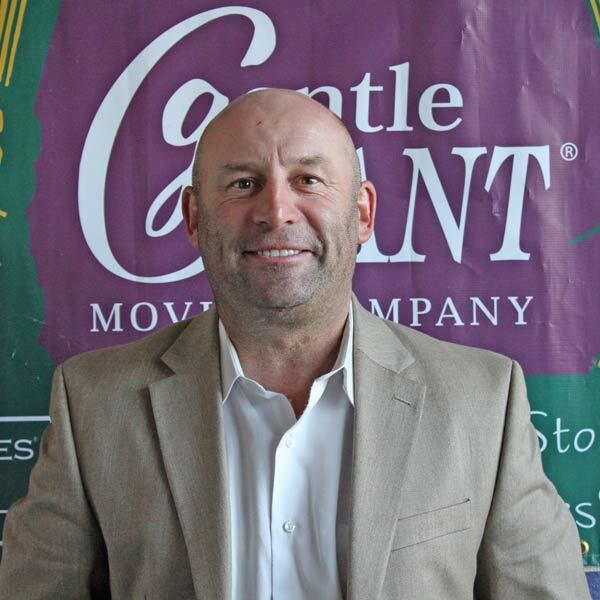 The founder and CEO of Gentle Giant Moving Company, Larry O'Toole, is focused on developing leaders, expanding our award winning service across the country and having a meaningful impact on the communities we serve. Early in his career, Larry was an engineer at Eaton Corporation. He quit his job to escape the corporate life, pursue writing interests and explore his entrepreneurial side. 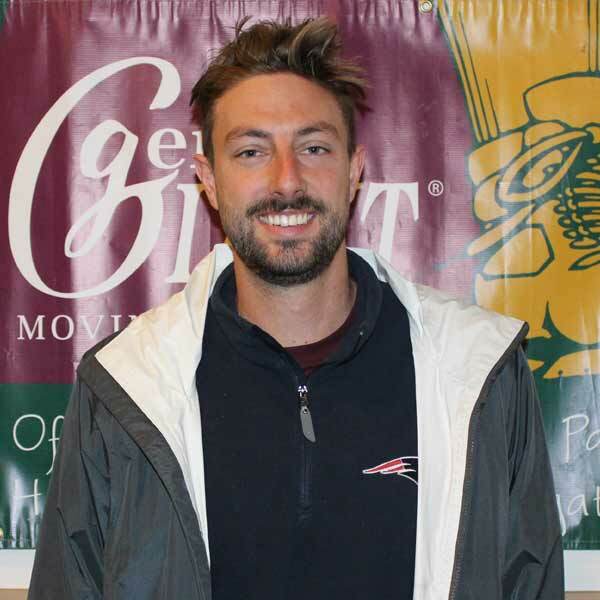 While preparing to start a light manufacturing company and not wanting to dig in to his savings, Larry rented his roommate's van and started performing moves around Boston. 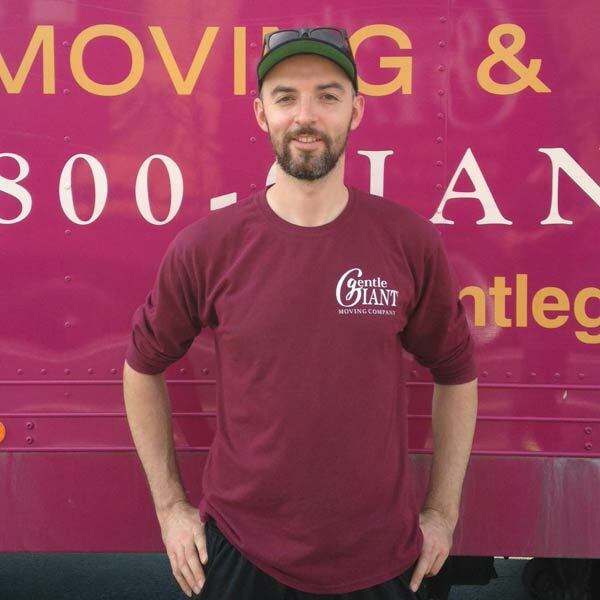 Before long, offering quality moving services became a passion, and Gentle Giant was born. Larry's life as a rower has taught him to be competitive, disciplined and persistent. 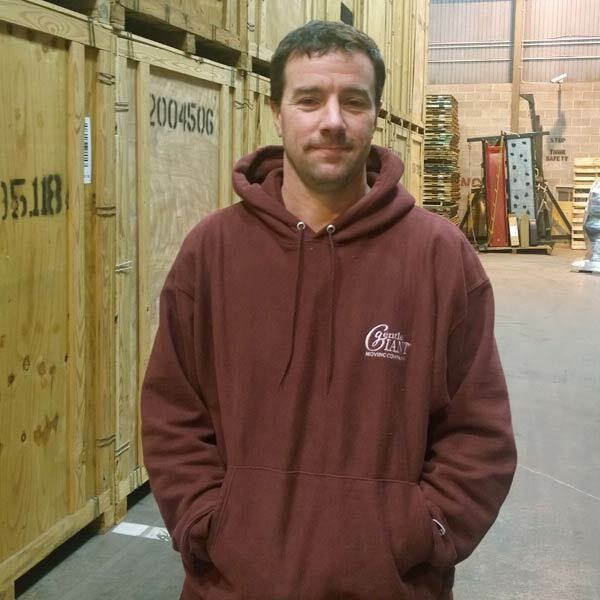 Larry is a creative problem solver, and is always willing to step in and complete difficult moves with enthusiasm. Outside of work, Larry tends to his extensive collection of rare, mint condition moving boxes. Andy is one of our Massachusetts branch managers. He loves that when he works for Gentle Giant, he is part of a team that makes doing their absolute best the #1 priority every day. He believes that being part of a great company that values both their employees & their customers to such a high level has made it almost impossible to think of doing something else. He also loves the nature of the flexible schedule for operations staff, which allows everyone the opportunity to pursue interests outside of Gentle Giant. Outside of work, Andy lives in Beverly, MA with his wife and their four children. He enjoys running, staying active and playing sports with his children. Matt originally heard about Gentle Giant through rugby teammates at Framingham State College. His favorite part of working at Gentle Giant is not being tied down to a desk all day and the people he works with, since sometimes it feels like you are just hanging out with friends and not at work. He decided to start a full-time career at Gentle Giant in 2003 when he was given the opportunity to step into a management role. 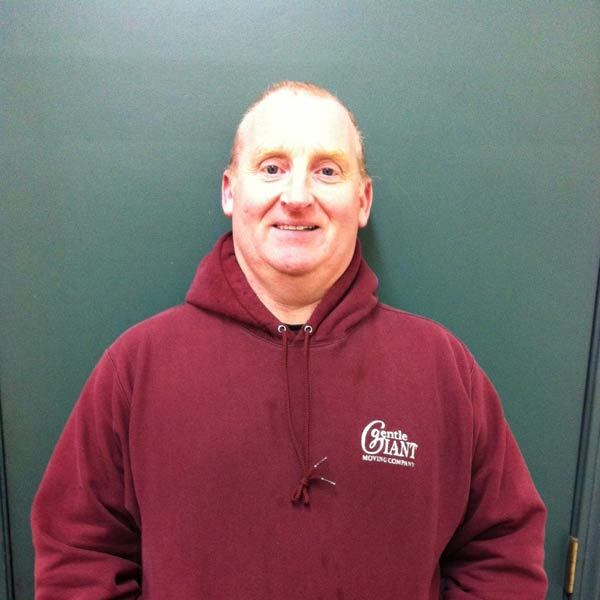 Outside of Gentle Giant, Matt enjoys basketball, rugby, snowboarding, camping and spending time with his children. He lives in Canton with his wife, three daughters and the best dog in the world. Jon heard about Gentle Giant directly from our owner, Larry O'Toole, while participating in a rowing event. He loves Gentle Giant's commitment to excellence and how every department works well together in order to give our customers the best experience possible. He has also been a musician since he was 10 years old and is currently in a band called Monkey Knife Fight. Jon lives in Methuen with his wife and two daughters. Ted joined the Gentle Giant team back in 1997. Over the years, Ted has worn many hats, from master Crew Chief to customer service representative, outside sales and trainer. A talented actor, Ted spends much of his free time involved with theatrical and film projects. He also spends time traveling to Thailand each year with his wife and son. Mark Green is a Class A Interstate Driver and one of our Master Crew Chiefs. He was the 2012 GG Rookie of the Year and the 2015 GG Interstate Driver of the Year. His toughest job was moving a three-tiered granite and iron bald eagle sculpture, weighing in at 1,200 lbs! Outside of Gentle Giant, Mark loves DJing, MMA and rugby. 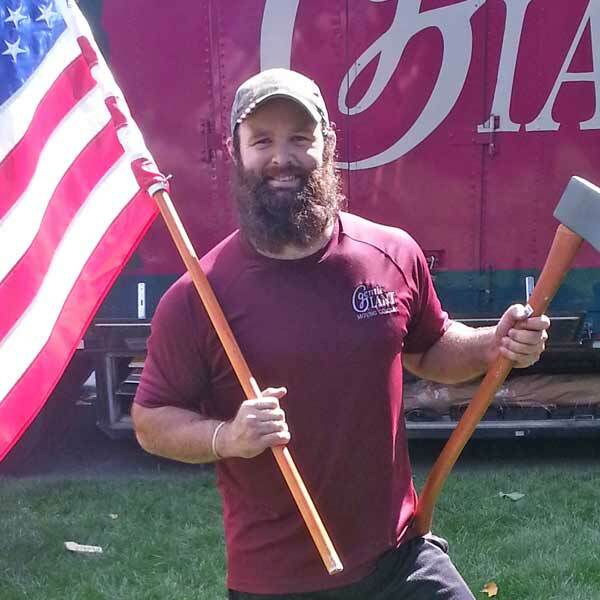 Brian became a Giant in 2008 and is a Group Manager out of our Somerville, MA Headquarters. He serves as a mentor and trainer to new Giants and leads weight training sessions in the gym with other Giants. In his spare time, he plays a variety of different sports and spends time with his friends and family. 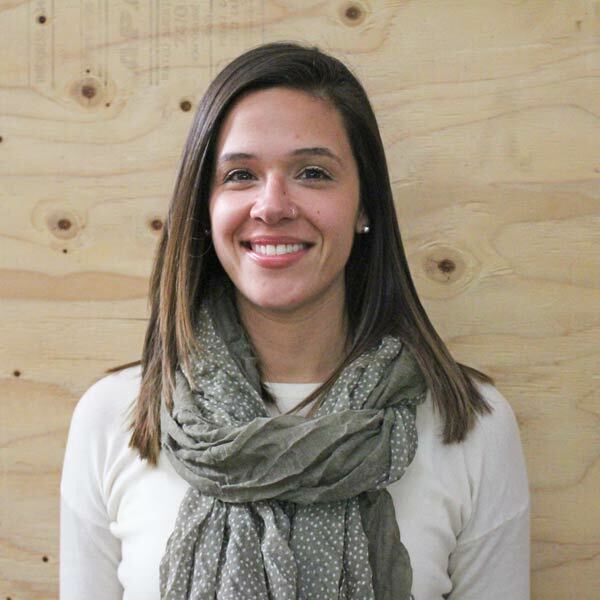 Elizabeth works on our HR team and plays an essential role in recruiting new Giants. As a rower in high school and college, she always saw Gentle Giant trucks at races and events, and knew of teammates who worked for us. Her first role at GG was working on the trucks, and she later transitioned into working in the office at our Somerville, MA headquarters. Liz loves the company emphasis on health and fitness, and how friendly and welcoming her colleagues are. Outside of work, Liz works in a pottery studio, throwing ceramic pots and making ceramic jewelry. She is also an avid SCUBA diver and has her own travel blog. Since retiring from rowing, Liz enjoys running marathons to stay active. She lives with her fiancé in the Somerville area and loves her quiet neighborhood just outside the hustle and bustle of the city. The two also spend a lot of time in the Adirondacks, hiking, snow shoeing and biking during free weekends. 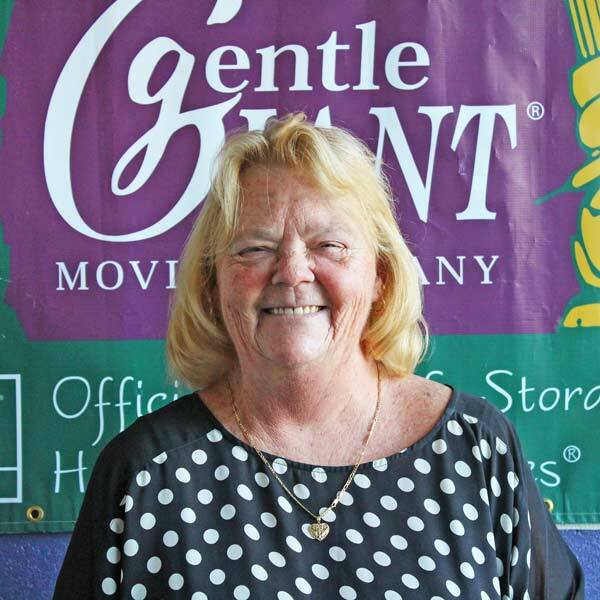 Jackie heard about Gentle Giant through her friend Shane Thompson, a fellow Giant and one of our Interstate Move Consultants. Jackie's entire employment history has involved customer service across many different industries, so her patience and experience with difference personalities made her an ideal fit for the Move Coordinator role. In her two years with the company, she said she has learned so much about the moving industry and how a successful small business operates. Outside of work, she enjoys antique and thrift shopping, as well as cooking and baking, especially bread. She is a lifelong Massachusetts native, but recently moved to New Hampshire with her boyfriend, thanks to help from two of our incredible movers! 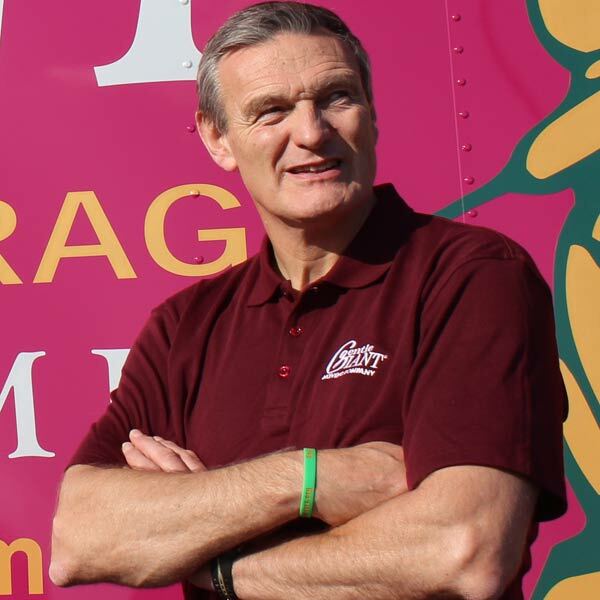 Chris is an influential member of our staff and has over twenty-two years of experience in the moving and relocation industry. 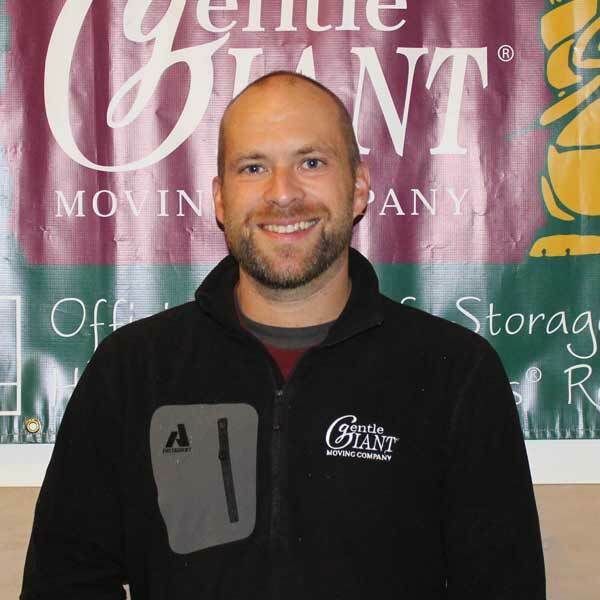 He takes pride in the fact that Gentle Giant doesn't hire one-day-only movers, which allows the staff to get to know each crew member and guarantee excellent service to our customers. From the front desk to the sales team to the crew on moving day, Chris believes the great service we offer is notable and different compared to other companies in the industry. 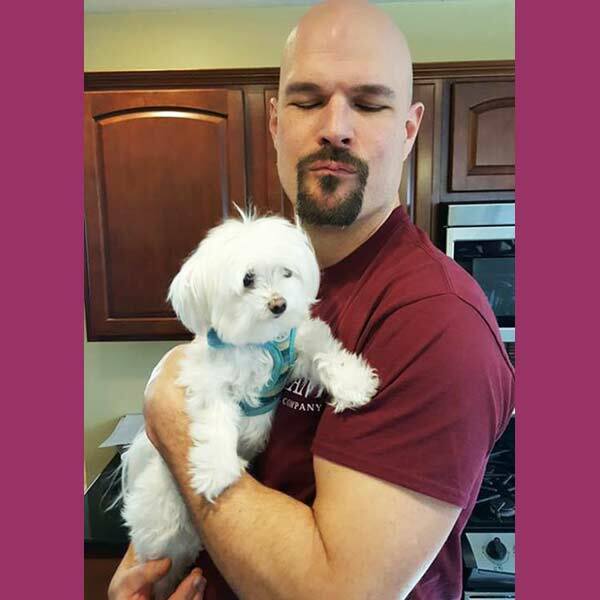 Originally from Cardiff, Wales, Chris was a former semi-professional rugby player, which gave him the opportunity to play and coach in the United States and travel in California, Florida and now the East Coast. He lives in Waltham, MA with his wife and is the father to two sons. He enjoys golfing and fishing with his family. Danielle heard about Gentle Giant through a friend who worked with the company and loved their experience. Her favorite part of working at GG is the people; she has met many amazing colleagues and made many lifelong friends. Her degree is in Business/Marketing and she spent her first year with the company in the Quality Control department. She was amazed to work for a company that treated both customers and employees so well. 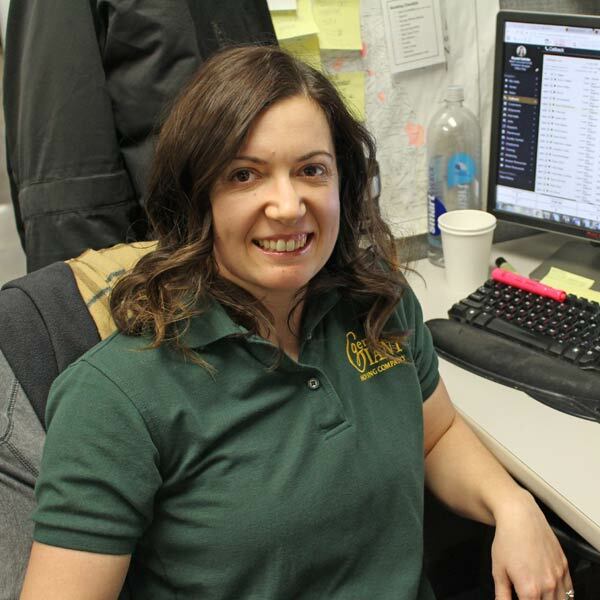 Her time at GG has taught her an immense amount of skills related to leadership, teamwork and the importance of putting your employees and culture first. Outside of Gentle Giant, Danielle enjoys skiing, running and yoga. She is also a big traveler and embarks on one big adventure every year. A few places where she recently received new passport stamps from are Bali, Costa Rica and Thailand. Employee culture is a huge part of life at Gentle Giant, and Erica's story proves how welcoming our Giants are. A native of Ohio, Erica moved to Boston and said that if it wasn't for the kindness of our Giants, she probably would have moved back home in her first year. Her colleagues made living in Boston more enjoyable, despite being homesick, and showed her what living in a big city is really like. She says that Gentle Giant has shown her what hard work and teamwork really means. Outside of work, Erica enjoys running and animals. She lives in Somerville with her husband and dog, and they enjoy staying active and exploring the city. 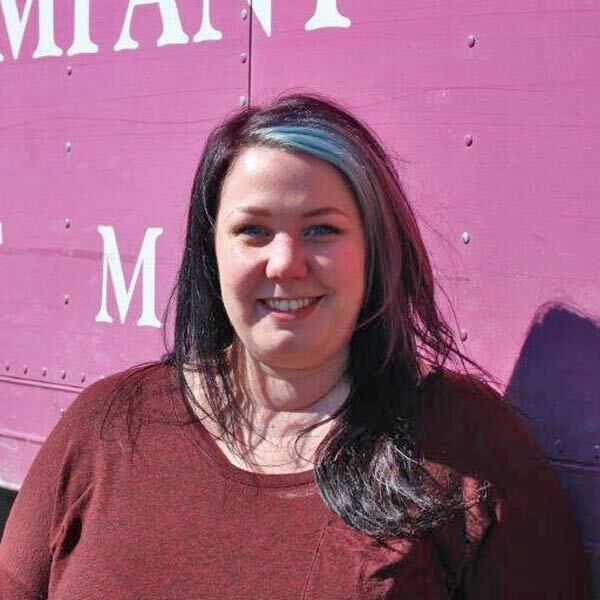 Krystal grew up in Cambridge, MA and always saw Gentle Giant trucks around town. It wasn't until her cousin Jen mentioned an open role at the company that Krystal decided to work at GG, and the rest is history. She says that she loves being part of a brand that she believes in, helping them through sometimes stressful or complicated situations and putting them first. The company commitment to employees, health and fitness, and overall sense of family is what Krystal believes brings out the best in Gentle Giant employees. She says that working at GG has taught her the importance of being a team player and delivering superior customer service, and has transformed her health and fitness routine. She lives in East Boston with her husband and their handsome dog, Apollo Creed. Peter has been with Gentle Giant for years, and says that being an Eagle Scout has prepared him for all of the work he has done for the company: be prepared! He is happy to be working and Gentle Giant, and says it’s a neat combination of hard work and a laid back, friendly atmosphere. Plus, the CrossFit workouts at lunch are a neat perk. Peter says being part of a work environment filled with trust and empowerment brings out the best in its employees. He is married with five children, three of whom have worked at Gentle Giant, and one who still does. Lisa heard about Gentle Giant through one of her fellow Irish friends, Melanie, who works in the accounting department at GG. She loves that working at Gentle Giant means that you feel like you are part of a family, and appreciates that everyone is always willing to lend a helping hand. She thinks GG is a great place to work because of the flexible schedule and the freedom to ask questions. Outside of work, she enjoys playing with her children and sitting in the sun with a good book. She lives in Braintree with her husband Mike and her three daughters. Andrew heard about Gentle Giant through two of his fellow rowers, who recommended that he apply to work at the company. He has been a competitive rower since 1999 and carries this type of teamwork and work ethic into his professional life. He believes that Gentle Giant asks employees to give their best at work because it makes a stressful process easier for both coworkers and customers. 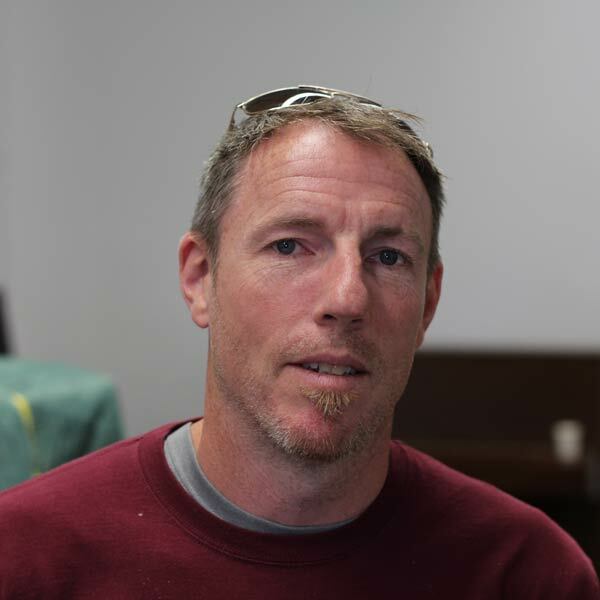 Outside of work, Andrew enjoys rock climbing, surfing, triathlons and volunteering at his local soup kitchen. He was born and raised in West Boylston, he has two older brothers and his parents are retired nurses. Matt heard about Gentle Giant in the late 90s. Although he wasn't in the moving business yet, he was aware of GG's great reputation and wanted to be part of our team. His appreciation for team work helped his transition to GG. He says his favorite part of working at GG is his colleagues, who are positive and people-focused, which has helped his career by providing him with the tools to be successful. Outside of GG, he enjoys spending time with family, mountain biking and photography. He lives in Melrose, MA with his wife Jen and his son Jude. 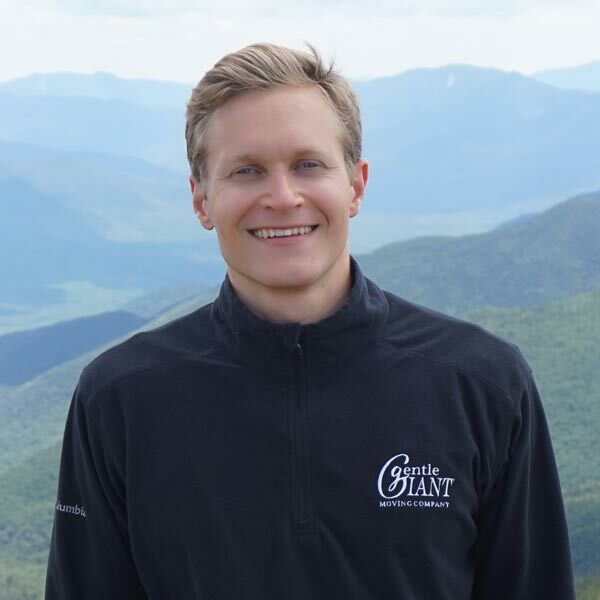 Will is the New England Sales Manager at Gentle Giant. Prior to his time in sales, he also worked in our Quality Control department. His favorite part of working here is the feeling that he works for the best company in our industry, as well as feeling empowered to help with changes. He recommends working at Gentle Giant because you work hard, have fun, develop people skills and learning about leadership and problem solving. Outside of Gentle Giant, he enjoys playing soccer and with his two children - their laughter is the best! He lives with his wife and children in Watertown. 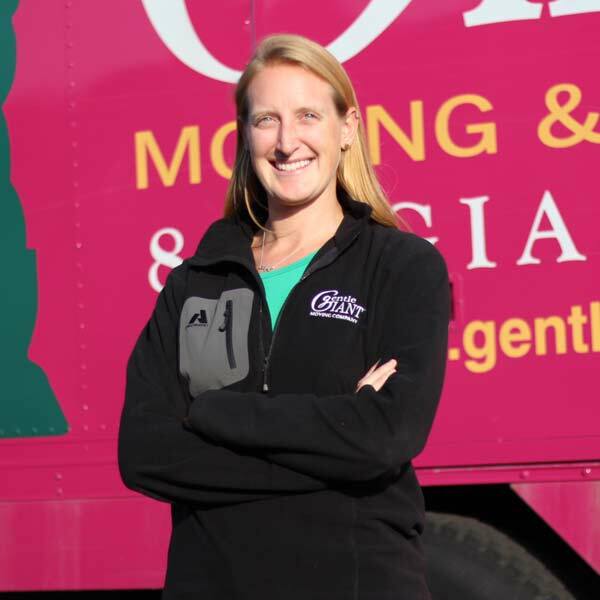 Carline started working at Gentle Giant after working for a competitor. 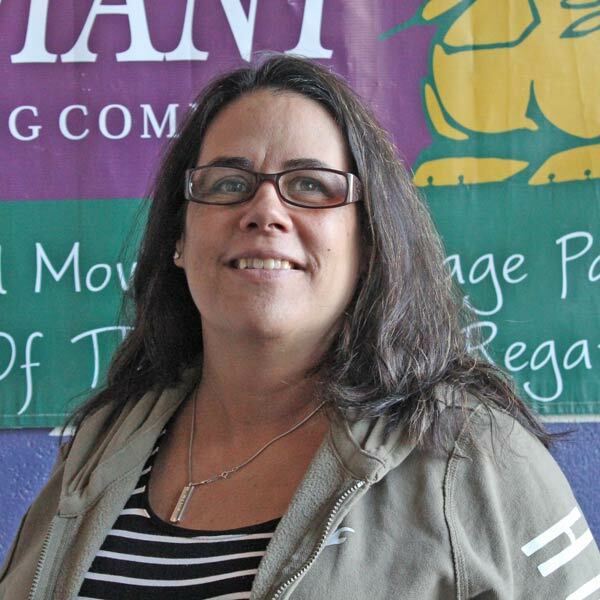 After 20 years in the moving business, she decided that she wanted to retire working for the best independent moving company, and we were happy to welcome her into our Giant family. 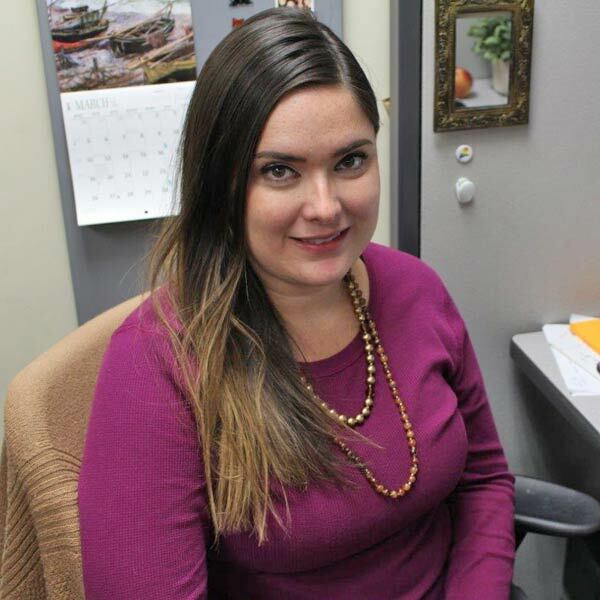 Outside of work, Carline loves the beaches of Aruba and playing online poker and casino games. She has lived in Westford with her husband for 33 years. Jen has been with Gentle Giant since 2011. 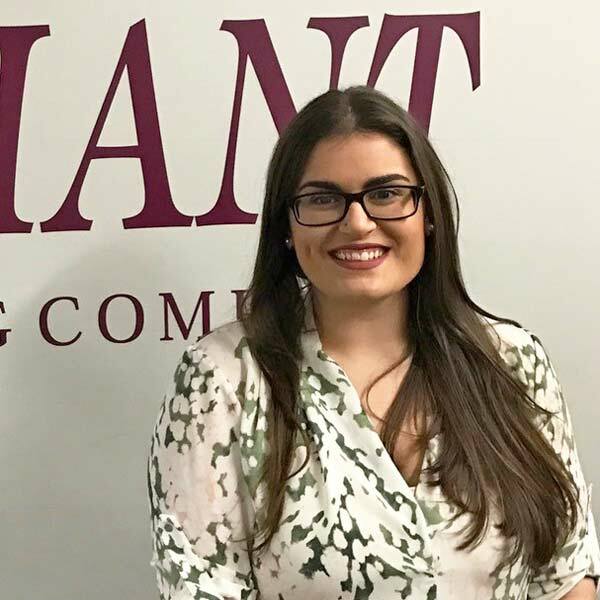 She originally worked in the accounting department as an office assistant while still in high school, and also worked in reception during the summer of 2015. At the end of 2016, she joined the marketing department full-time after graduating college in May 2016. Her favorite parts of working at Gentle Giant are her colleagues and the focus that GG puts on health and wellness. Outside of work, Jen enjoys traveling, reading, writing and spending time with her friends and family.